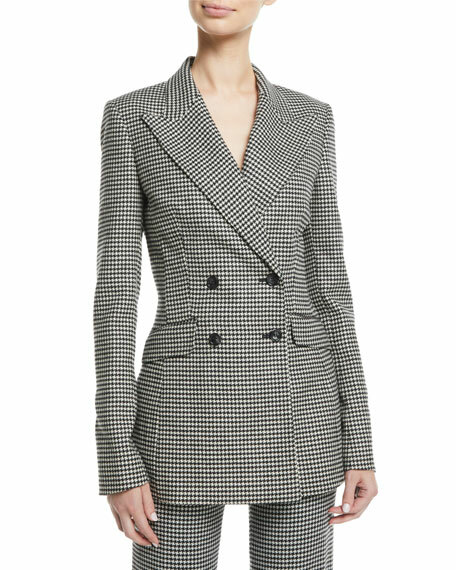 Gabriela Hearst "Dario" blazer in houndstooth wool-cashmere. For in-store inquiries, use sku #2605902. 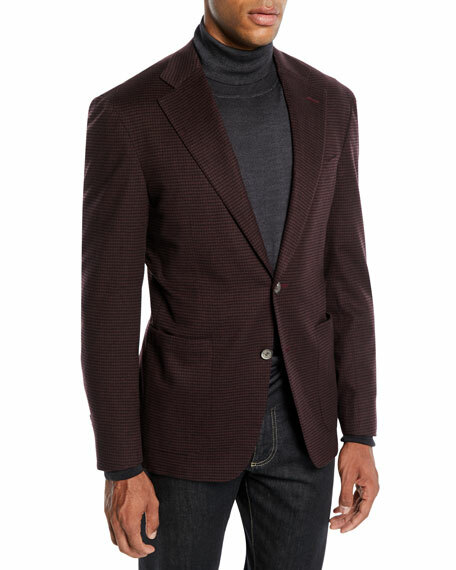 Akris "Saigon" blazer in double-face cashmere-wool. Notched lapels. Two-button front from sizes 2-12. Three-button front from sizes 14-18. Long sleeves. Side patch pockets. Tailored fit. Lining, viscose. Made in Switzerland of Italian materials. Brunello Cucinelli chevron twill. Peak lapel; double-breasted golden button front. Long sleeves. Hip and chest welt pocket. Relaxed fit. Hem hits below hips. Cotton/linen/spandex. Lining, acetate/silk lining. Made in Italy. 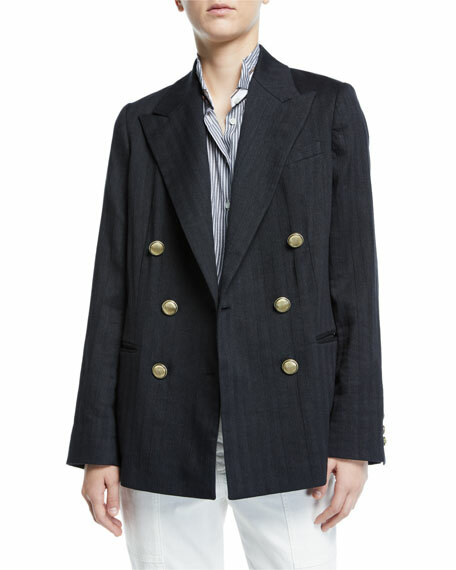 Brunello Cucinelli blazer designed for easy travel. 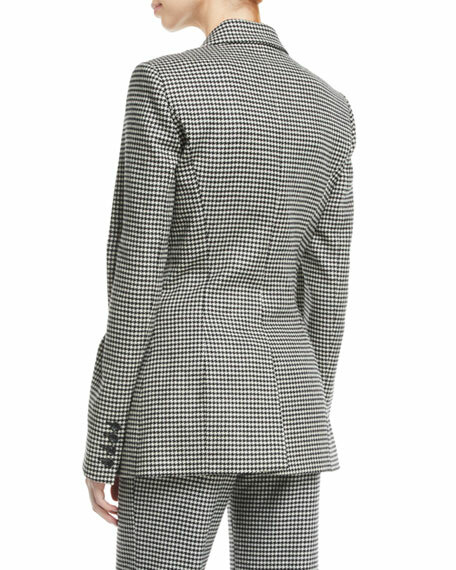 Notch lapel; three-button front. Four-button detail at cuffs. Welt pocket at chest. Flap pockets at sides. Double-vented back. Wool/silk. Made in Italy. Canali blazer in check. Notched lapels; two-button front. Three-button finish on sleeves. Front patch pockets; chest welt pocket. Double-vented back. Super 130s wool/cashmere. Made in Italy.